Otterbox Defender Rugged Hard Shell Case. Includes OtterBox 1-year case warranty (see website for details) and 100% authentic. Compatible ONLY with iPad Pro 2016 (9.7" VERSION). NOT compatible with Apple iPad 2017 (model 1822, A1823,Apple iPad (5th Generation)). The Defender Series case is built to stand up to the constant use and abuse it's sure to get. 100% Authentic OtterBox Defender Series Case. Shock Proof / Drop Proof / Heavy Duty Rugged. Folio Cover. We distribute iPod & iPhone accessories worldwide. for iPad mini 4 (Black). Scratch Protection. The style you want. They protection you need. Drop Protection. Otterbox Defender Samsung Galaxy Note 10.1". We distribute iPod & iPhone accessories worldwide. (2012 Version) Case w/Stand Cover Gray. Screen Protection. Scratch Protection. Dust Protection. Port plugs keep out dust and debris. Otterbox Defender Rugged Hard Shell Case Cover. Plus, the included shield stand is great for reading, typing and watching when you need it. Defender Series iPad Air 2 cases work hard for you, so you don’t have to. 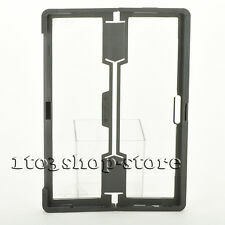 This case will only fit the 8.4" Samsung Galaxy Tab Pro. What You Get. Triple-layer defense: inner shell, outer cover and touchscreen protector. Compatible with Samsung Galaxy Tab A 8.0". Shield stand: includes stand for hand-free convenience. Built-in screen protector guards against scratches. Does not work with Apple Smart Keyboard or Apple Smart Cover. See pictures for more detail. Does not work with Apple Smart Keyboard or Apple Smart Cover. Trending at $28.75eBay determines this price through a machine learned model of the product's sale prices within the last 90 days. (for ipad 5th & 6th GEN only). The Defender Series case is built to stand up to the constant use and abuse it's sure to get. Cases for Apple. -Rugged, protective case made for demanding conditions, heavy use and random accidents. Cases for Samsung. Designed and made by Otterbox. Genuine/Original Case for iPhone iPad 5th and 6th Generation. It's hard to believe that the OtterBox DEFENDER SERIES Case provides all this incredible protection while still being purse and pocket-friendly. OtterBox DEFENDER SERIES Case & Stand for iPad Air 2 (NOT iPad Mini) - Black. 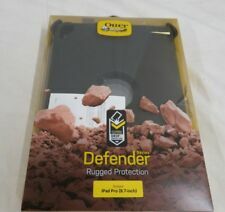 Otterbox Defender Series Case w/ Stand For iPad Air 2 ONLY- Black - Authentic !! 5 out of 5 stars - Otterbox Defender Series Case w/ Stand For iPad Air 2 ONLY- Black - Authentic !! 72 product ratings72 product ratings - Otterbox Defender Series Case w/ Stand For iPad Air 2 ONLY- Black - Authentic !! Agility Shell is not included . Folio stand - sleek folio folds into a multi-position stand, with 360 Degree rotation (rotate to landscape and portrait positions). - Beveled edges protect your screen when your iPad lays flat. -Certified drop protection - the toughest tablet case in its class. Front cover says iPad Mini (see pic). It's hard to believe that the OtterBox DEFENDER SERIES Case provides all this incredible protection while still being purse and pocket-friendly. (1) OtterBox DEFENDER SERIES Case. 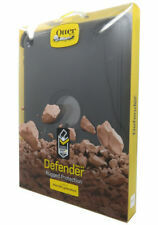 (2) Otterbox DEFENDER SERIES Stand. KEY FEATURES. - Easy to install. 100% Authentic OtterBox. without Accessory Bag. Defender Series Case. Rugged Protection for iPad Air 2 Only! Triple-layer, drop-proof iPad Air 2 cover: inner shell, outer slipcover, and screen protector. Apple iPad Air 2. Shield Stand: provides added screen protection and a stand for hands-free convenience. 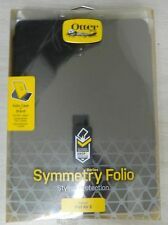 [View more great items] (https://www.ebay.com/sch/yywirelesss/m.html) Otterbox Defender Series Case Samsung Galaxy Tab Pro Note 10.1 (77-40511) NEW Compatibility: Otterbox Defender Series case for SAMSUNG GALAXY TAB PRO 10.1 2014 edition ONLY OtterBox Defender Series Case Features ---Robust, multi-layer protective case withstands drops, bumps and shock ---Built-in screen protector guards against scratches and scrapes to the touch screen ---Port covers block dust and debris from entering and accumulating in ports and jacks ---Included shield stand accommodates comfortable viewing and typing angles ---Shield stand provides added protection during transport Model number ---77-41481 Return policy. 14 days return policy PLease contact us if you have any question. Otter Box Profile Series Case for iPad mini 4-Gray/Tempest. Excellent.